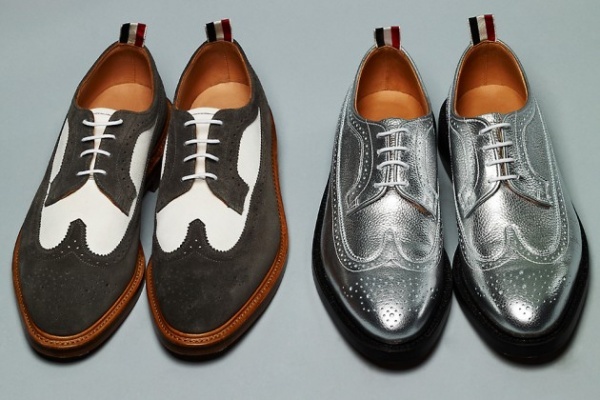 Thom Browne’s designs are always a highlight for the fashion-addicted, and his Spring/Summer 2013 footwear offering is reason to see why. 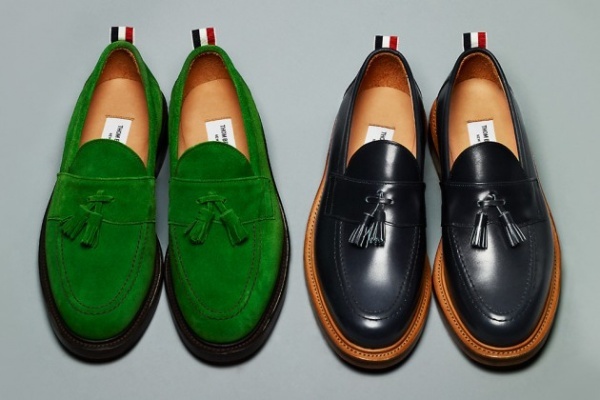 The New York designer has steadily grown his footwear offering over the last few seasons and this year is no exception, with a refined but substantial offering featuring penny loafers, broques and more traditional dress pieces. 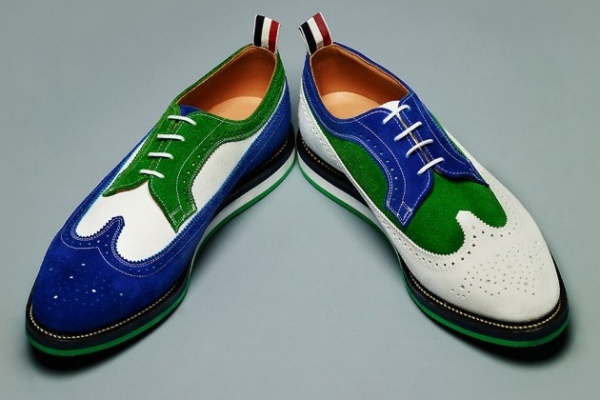 Hand made from the highest quality materials, these shoes – much like his entire SS 2013 range – has been described as “Preppy on acid” and we’re inclined to agree. Classic pieces are turned on their head using bright colors or materials, but the key is that Browne’s deft eye doesn’t distort the original silhouette and the results are all the better for it. Expect these pieces to hit Thom Browne retailers by March 2013. 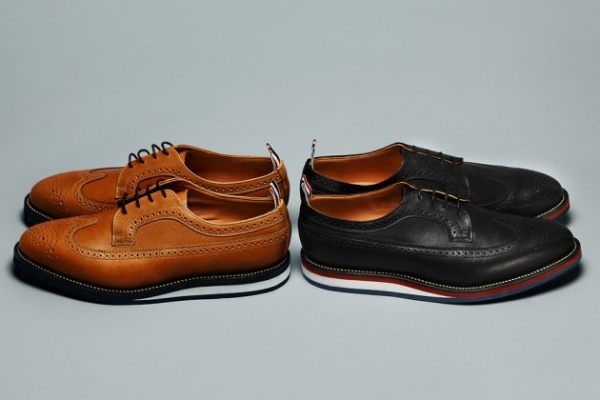 This entry was posted in Footwear and tagged 2013, Brogue, Collection, Dress Shoe, Leather, Loafers, New York, Penny Loafer, Shoe, Spring, Spring Summer 2013, Spring/Summer, SS, Summer, Tassled, Thom Browne. Bookmark the permalink.